Lion Hudson - Why Am I Me? 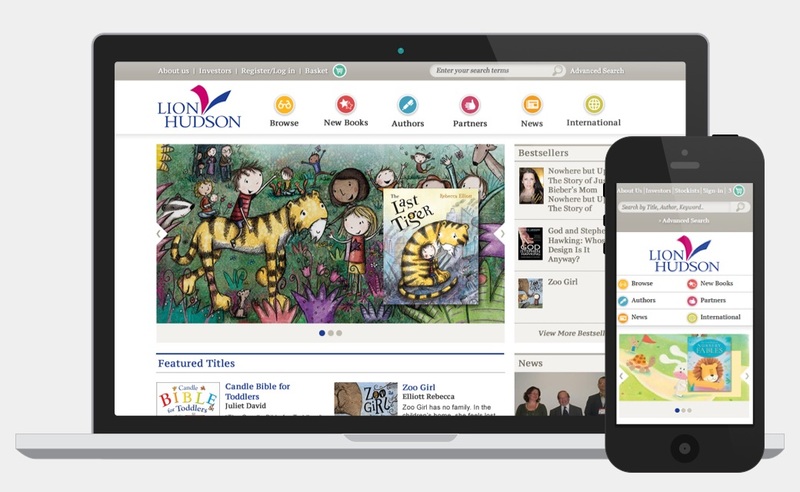 Responsive web design and build for Lion Hudson, publishers of quality Christian books for adults and children. Lion Hudson, publishers of quality Christian books for adults and children, wanted a fun new website to appeal to their wide audience. Designing a website that appeals to both adults and a younger audience can be quite difficult, to get a mix that is fun and lively enough for children but that is serious enough for adults can be a real challenge. The design utilises bold and colourful icons for key navigational elements which makes them prominent and easy to identify. Scrollers on key pages including the homepage allow Lion Hudson to promote new titles using background graphics they generate in-house, these are then uploaded to their server and are easily configured in the Content Management System (CMS) by simply entering the unique identifier, in this case the ISBN, for each of the titles they wish to include in each scroller, the jacket image and link are then automatically written to link to the book product page. They also wanted to provide biographies for some of their authors so have made use of an authors database within the CMS which enables them to easily generate pages which include an author biography alongside their books. Another key requirement was that the new website should work on mobile devices. To enable this the website is built on a responsive framework so that the layout is able to adapt depending on the screen size it is being viewed upon. This means the site looks as good and functions just as well on mobile devices, such as smart phones and tablets, as it does on laptop and desktop computers.